I'll admit it: I was a little late to the Puerto Rico game. Thankfully, due to Snowmageddon this year, I finally cottoned on to our cousin in the Caribbean. Now that I've drunk the Kool-Aid, I'm bound and determined to get everyone there. I'll admit it: I was a little late to the Puerto Rico game. Thankfully, due to Snowmageddon this year, I finally cottoned on to our cousin in the Caribbean. Now that I've drunk the Kool-Aid, I'm bound and determined to get everyone there -- if only so that when people ask me, "Where should I go for a quick, easy, cheap getaway?" (this happens all the time) I can point them to this article. Here are five reasons you really should go now. - WATCH the video - it fully illustrates everything! 1. It's cheap and easy. Most major airlines fly there, including JetBlue, and the price of a ticket can be up to $200 cheaper than a flight to Miami. Bonus: If you live on the East Coast, it's quick. From JFK airport, for example, it's only three and a half hours to San Juan, which is just slightly longer than a flight to Miami. 2. You can vacation like J.Lo at half the price. The hotels in San Juan are some of the chicest I've ever seen. Jennifer Lopez stayed at Hotel El Convento -- the Chateau Marmont of the Caribbean, located in the heart of the Old City -- which has weekend rates starting at less than $500 a night. 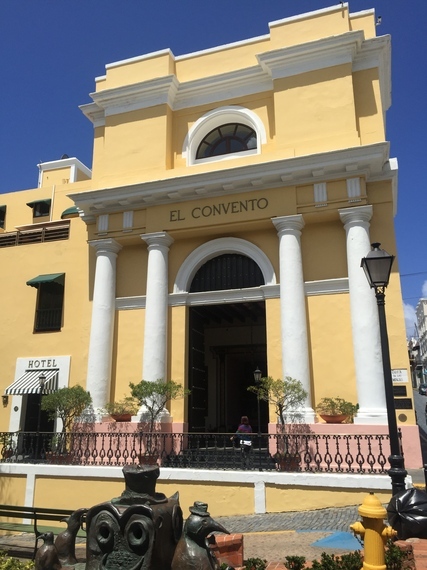 If you want to bump up the price a bit, check out the Condado Vanderbilt. The recently refurbished hotel was built in 1912 by Frederick William Vanderbilt in a Spanish revival style, and has been the height of luxury ever since. Rates start at around $300 a night -- expensive, but still a fraction of the cost of a luxury hotel in Miami. While the beach is nice, it's even nicer that if you need a break, there's actually something else to do. 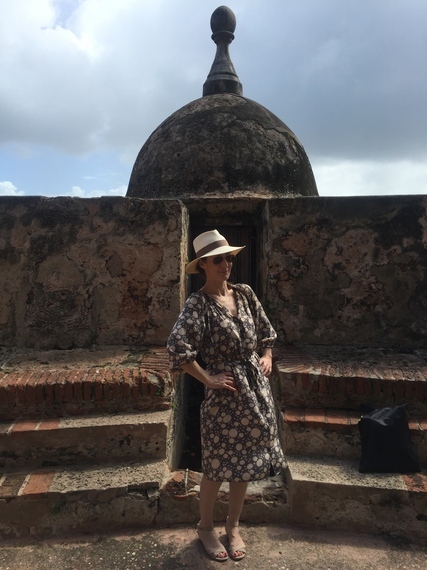 Puerto Rico's forts and cathedrals date back to the 16th century, when Spain ruled the island. 4. The food and drink on the island is to die for -- seriously. You have to work pretty hard to find bad food and drink in Puerto Rico, especially out in the smaller cities, where fresh fish and a cerveza will set you back just $8. 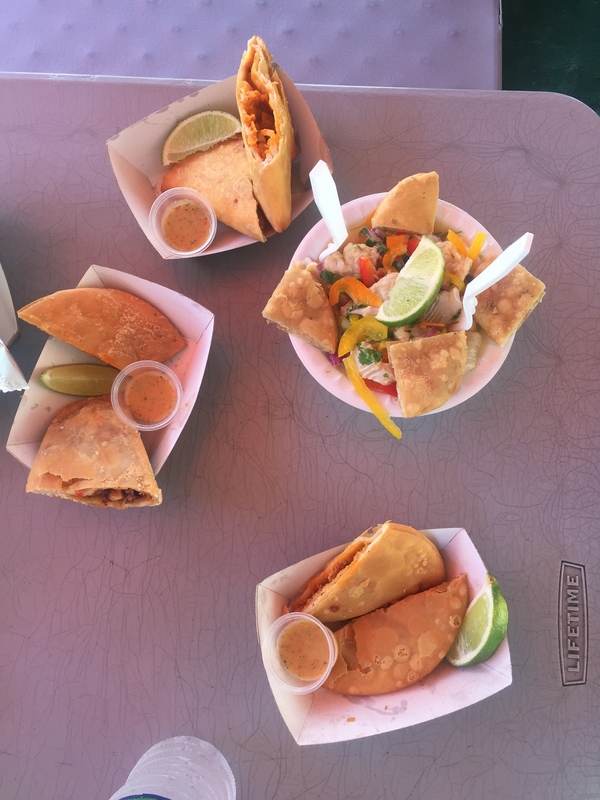 In San Juan, my favorite lunch spot is Café Tresbé, a converted shipping container-turned-eatery, which serves the best fish tacos I've ever had. For dinner, check out Jose Enrique, a James Beard-nominated restaurant whose homemade sausage, seafood, and desserts will have you salivating for months afterward. For drinks, stop by craft cocktail bar La Factoria and ask for Mario, who can make you a perfect El Presidente or cocktail made with Sriracha (my favorite). On the wagon? Try Café Don Ruiz in the Old City, which grows and roasts its own coffee beans and treats milk foam like an art form. 5. It's the surfing capital of the world. Check out the Rincon Surf School, which helped me get up (standing!) on my first try! Check out all of my new original series, "A Broad Abroad."